IPATA’s International Conference in Chicago, Illinois USA on November 5, 2019. Each year awards are given at the IPATA International Conference to companies that further the mission of IPATA in promoting the safe and humane transport of pets and other animals. 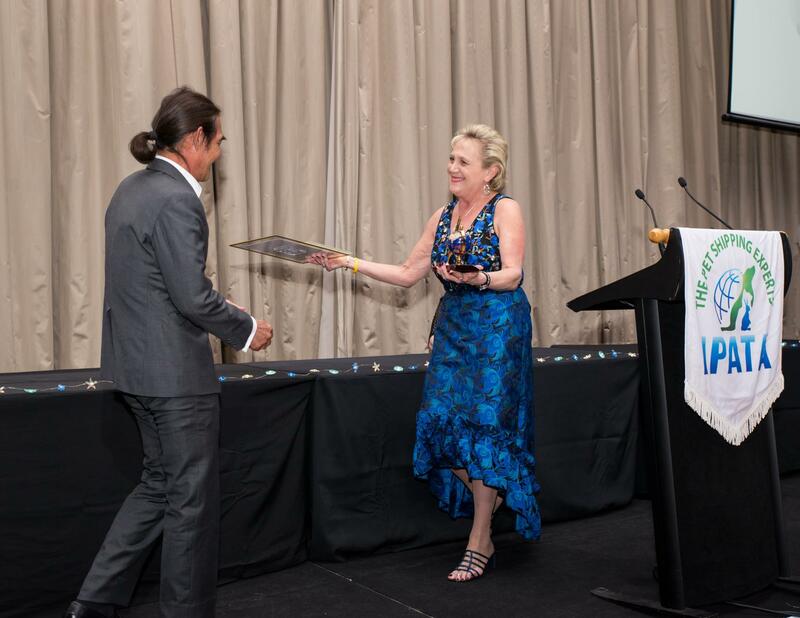 Each award is only given when a truly deserving recipient is identified, not necessarily annually.The 2018 Awards Ceremony at the Melbourne Australia Conference was part of the "Down Under the Sea Gala Event" held on the last evening of the conference. Prior to the name of each award recipient being announced at the event, they had no knowledge they would be receiving an award. Surprise was evident in their faces as their names were called. 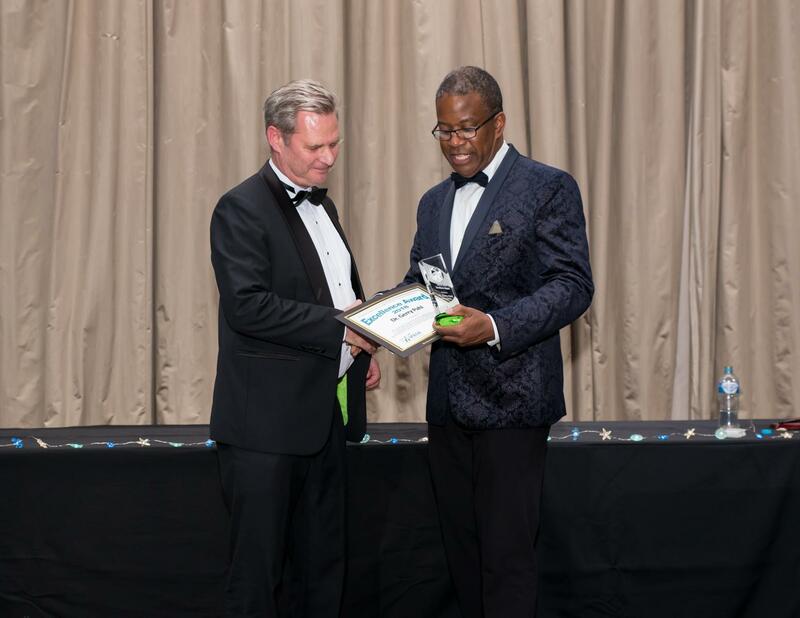 The Industry Partner Award recognizes a person, organization or company on behalf of some type of consultancy, business products or services which pushed the barriers within the industry. It is open to members and non-members of IPATA whose partnership with IPATA has resulted in improved welfare, improved business for IPATA members or enhanced ability to server customers. 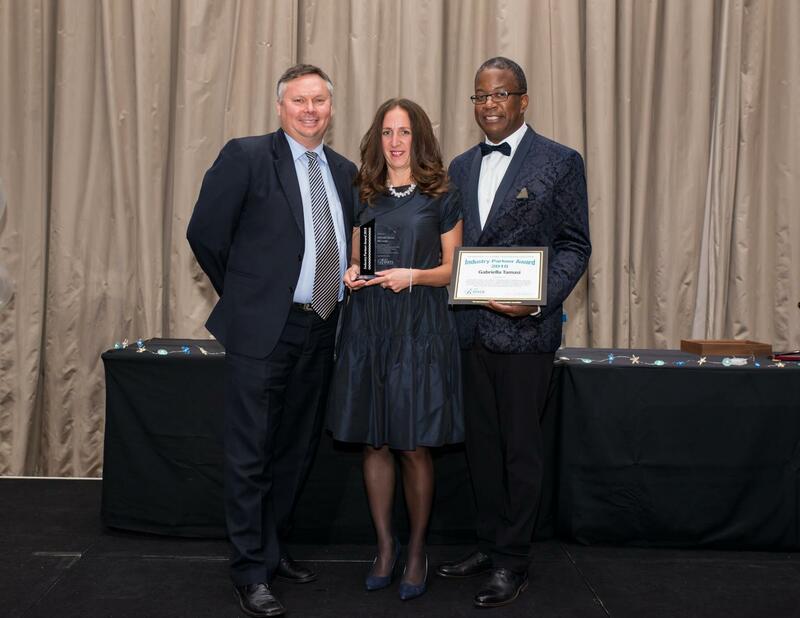 Gabriella Tamasi with IAG Cargo (British Airways/Iberia/Aer Lingus) received the Industry Partner Award in recognition for her dedication to the welfare of animals and her willingness to go that extra mile to see that animals are compassionately and professional handled every step of the way. Serving as a Board member for multiple pet industry associations, Gabriella works tirelessly to perfect pet shipping procedures and to provide educational opportunities for everyone. The entire IAG AVI team supports Gabriella in providing services for IPATA's international pet shipping network and others in the animal transportation industry. When IPATA members think of or talk about IAG, they talk about Gabriella. Our members say, "She always walked the extra mile, and she solved a problem for a customer which looked hopeless." Her dedication to the welfare of animals is well-known and it is obvious to all of us that she will continually seek improvement and professionalism in the animal shipping industry. The Lifetime Achievement Award honors individuals whose lifetime body of work demonstrates dedication to the industry and to IPATA. This individual is of the highest integrity and worthy stature. This award is not mandated to present every year, but only when someone has been identified as truly worth of recognizing their "lifetime body of work." 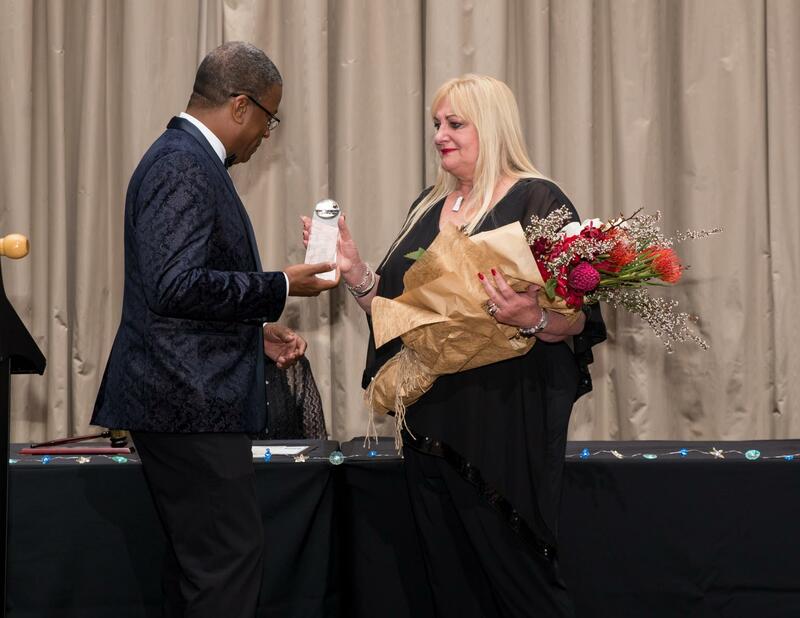 Estelle Fourie with Animal Travel Services received the Lifetime Achievement Award in recognition of more than 40 years dedicated service to the pet shipping industry. Estelle has proven to be a reliable and trusted colleague for our members and has promoted the success and growth of IPATA with her active participation and innumerable contributions to IPATA. Estelle was chosen for this award for many reasons. 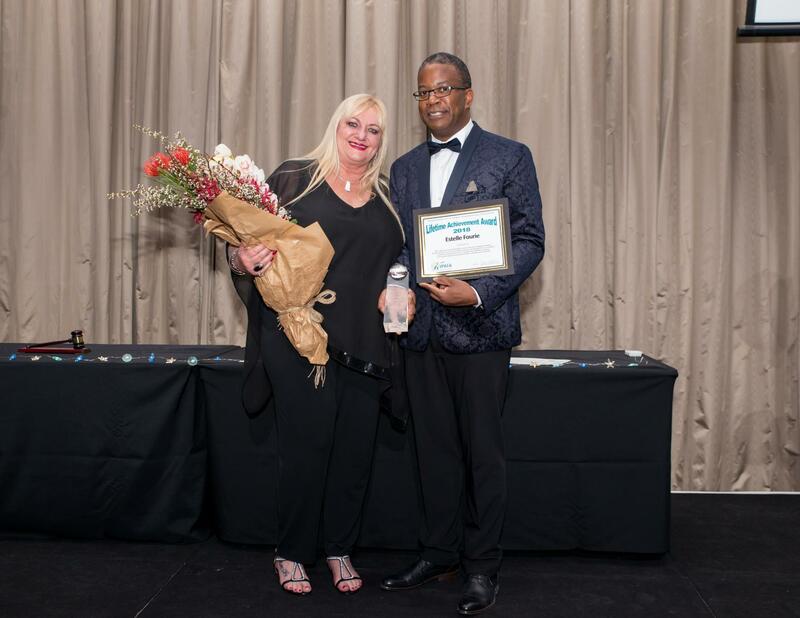 One member who nominated her said, " I find Estelle to be professional to the end, compassionate and willing to go to the limits to make sure she serves her clients and their pets in the correct manner. Another member noted that she has always strived to constantly improve animal welfare and that "her level of service is outstanding and she will always be there to assist and help out those in need." 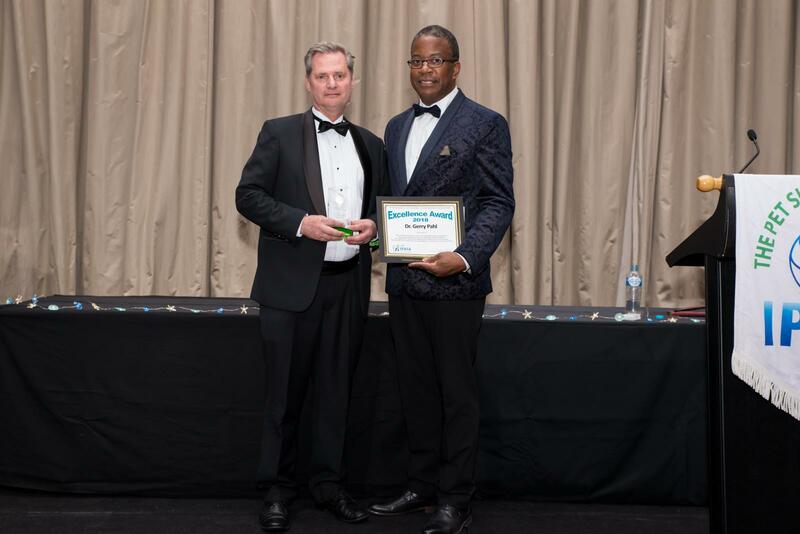 The Best Operational Service Provider Award honors an individual that provides operational service that is consistently of an exceptional level and is an inspiration to the pet shipping industry and its members. 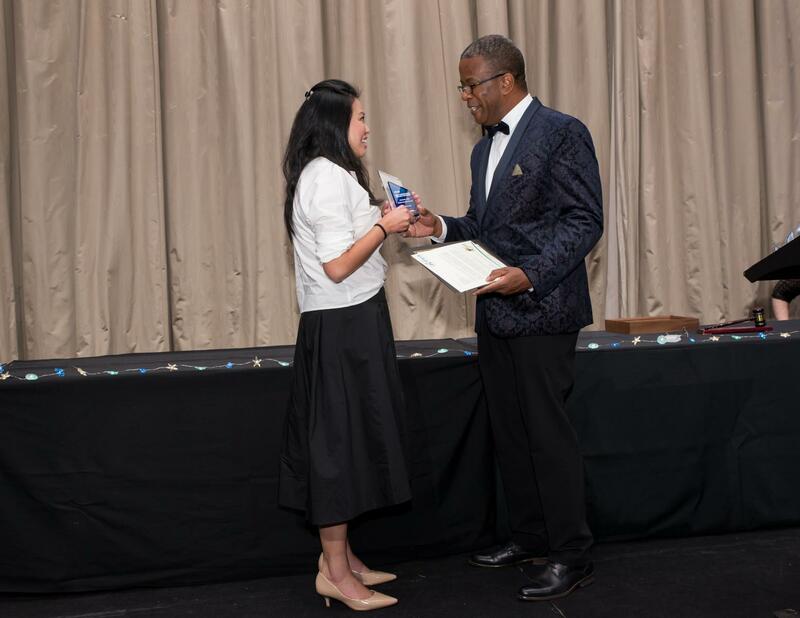 The award recognizes an individual that exemplifies professionalism, empathy, compassion, efficient response, accuracy of information, and customer service. 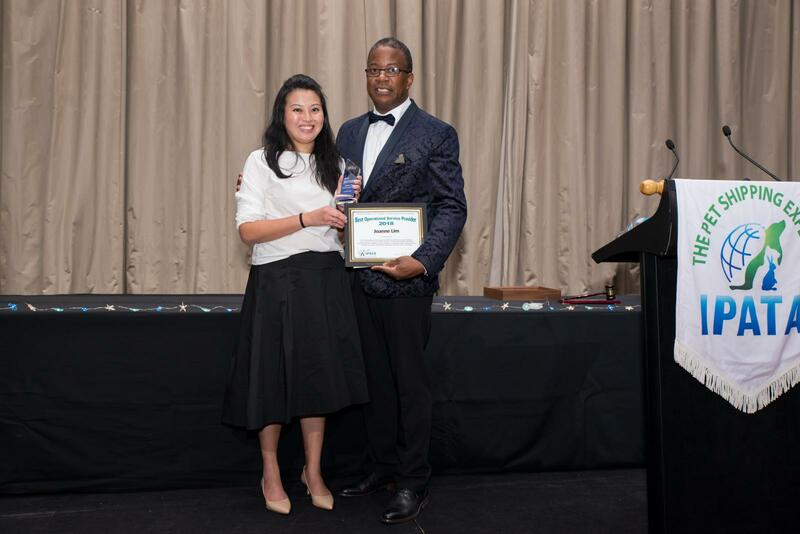 Joanne Lim with Ricted Kennels Pte Ltd. was awarded the Best Operational Service Provider Award for her outstanding professionalism and total perfection in pet shipping. Focusing on every pet's welfare, Joanne consistently handles the tiniest detail during the shipping process and always maintains open communication with her customers, her IPATA colleagues, and her service providers. Those who nominated Joanne praised her for her top-rate communication throughout every pet shipment, not matter how complicated. One member said, "She takes the time to carefully consider my instructions, always comes to me first if anything is needed, and is extremely thorough with documentation, processes, and follow through. I NEVER have to wonder if my clients are getting the attention they need while teaming with her on a project." Joanne truly serves as a role model for all IPATA members in professionalism and exceptional customer service. 2015 Dana Fanning of Animal Land, Inc. The Excellence Award is given in recognition of an individual, company or organization that has made outstanding efforts to public service initiatives and/or have contributed to the improvement of animal welfare with substantial impacts to humanitarian or animal welfare efforts. 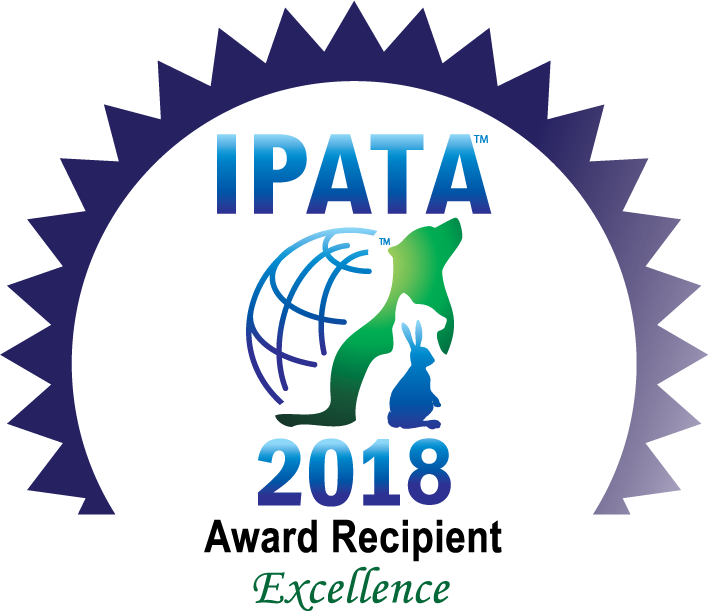 Dr. Gerry Pahl with PETEXPORTVET received the Excellence Award in recognition of his exceptional and personal service handling snub-nosed dogs in transit and sharing his expertise with other IPATA members. 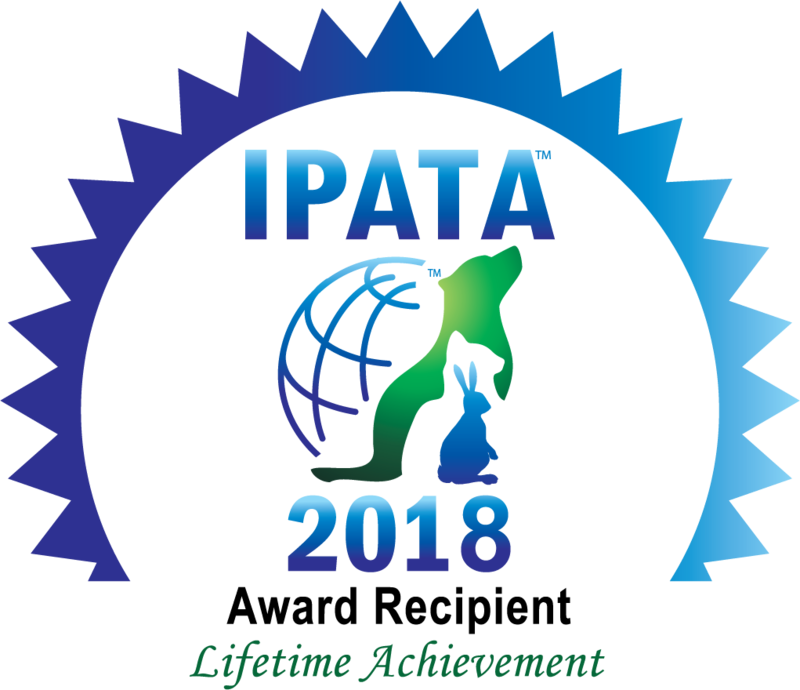 We applaud Dr. Pahl for his dedication to IPATA as he served on the Board of Directors, on the Research & Development Committee which is focusing on snub-nose breed research and as a participant on many veterinary panels at IPATA Conferences. Many IPATA members have commented on the knowledge they have gained while working with Dr. Pahl and are grateful for his willingness to share his expertise. 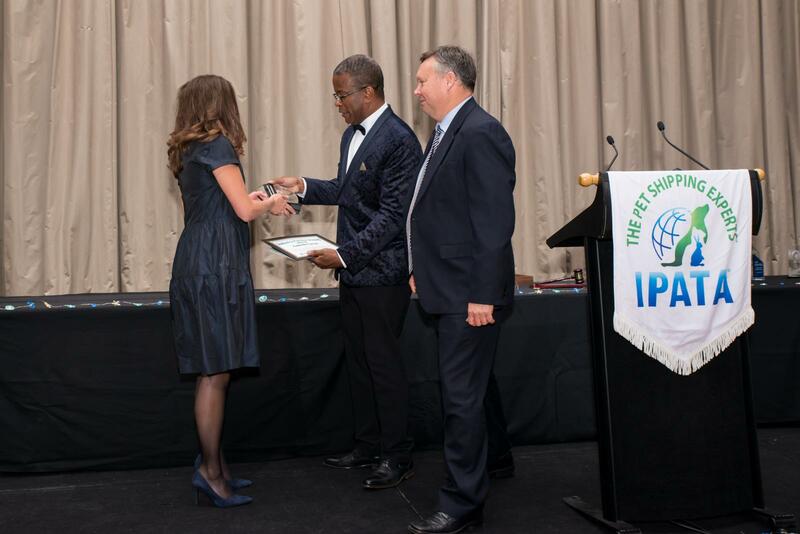 The Millie Woolf Award is presented in the memory of Millie Woolf, one of the six founding members of IPATA, a driving force who made IPATA the international network of professionals that it is today. Millie recognized the need for an organization that could provide education in the transport of household pets, and that unified companies into pooling their resources to provide the safest transport of these pets. Millie exemplified her phrase, "I gave it my best." The recipient must be a person, company or association who exemplifies "I Gave It My Best" by providing, supporting or developing opportunities which advance the professionalism of persons involved in the safe and humane transport to animals. 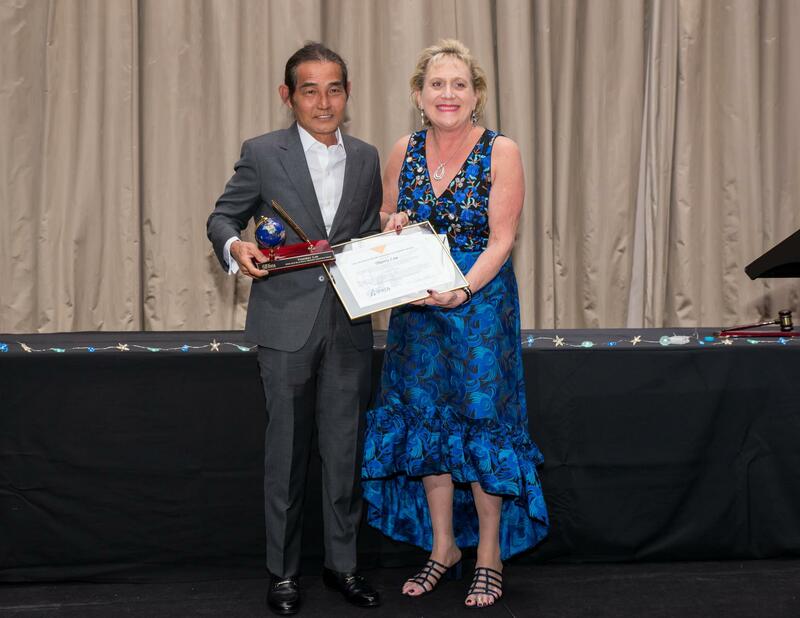 Thierry Lim with Ricted Kennels Pte Ltd. received recognition for his many years serving as a role model by setting an example of what a professional should be. His active involvement in encouraging pet shippers to be the best they can be and to raise the bar in their own business practices. Through his work with Ricted Kennels over the past years, many members have learned new ideas, embraced changes, and enhanced their professionalism by emulating Thierry. He has always lead by example. This is exemplified as his company is complemented by family and has expanded into other countries. IPATA members know that they can depend on Thierry, day or night, to help them, and they know that above all else, the welfare of pets is behind everything he does. 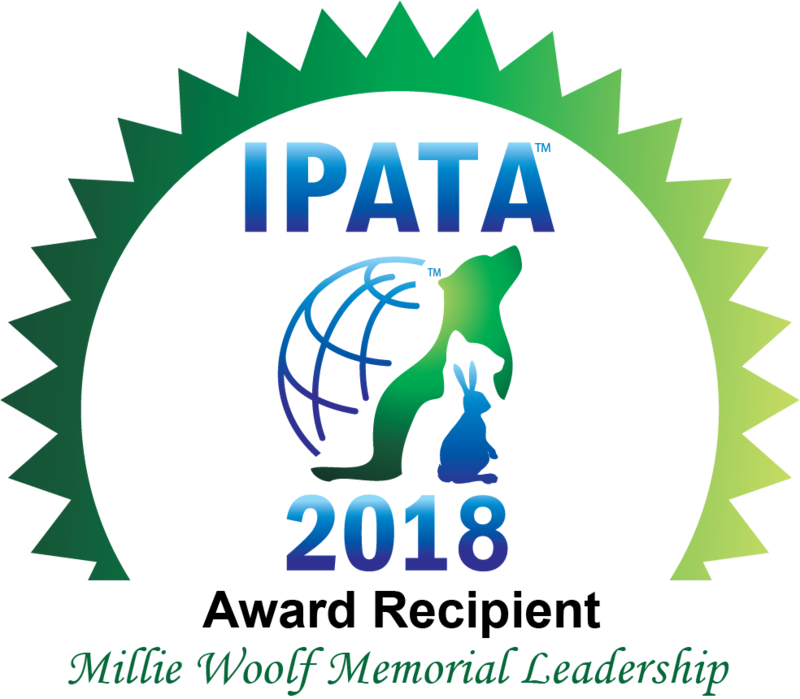 Each year the member receiving the Millie Award also receives a $2,000 check that is a joint donation from IPATA and Air Animal Pet Moving Services. Thierry asked that the funds he was awarded be donated to a worthy cause. The money has been donated to the University of Pennsylvania program called PENN Vet Working Dog Center that works on detection of cancer in dogs. 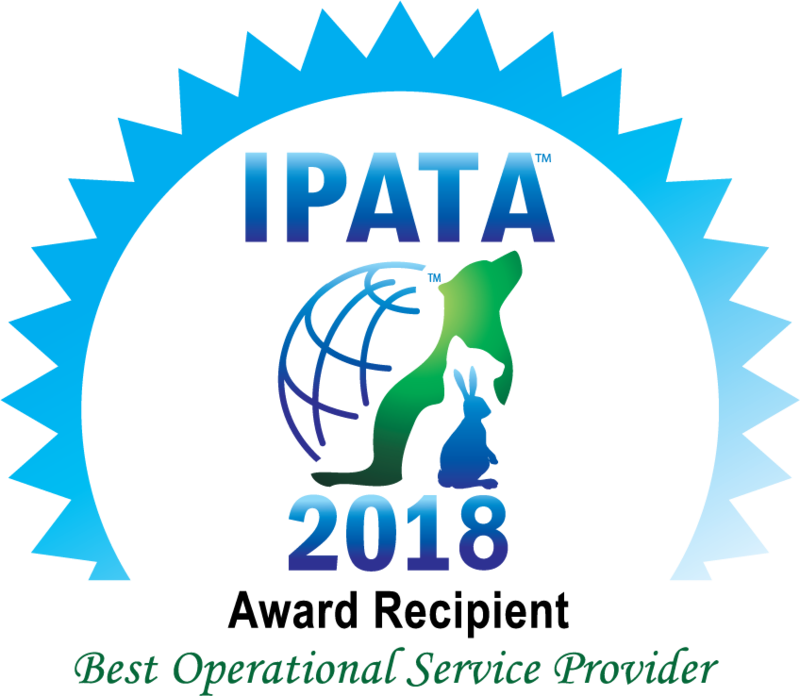 Congratulations to all our wonderful IPATA pet shipping experts for improving the humane transport of animals worldwide!